We let OSHA inspect because we have to, right? Actually, no—we do not always have to let them inspect. OSHA has two options for conducting a legal physical inspection of your business: voluntary consent or a valid search warrant. When the OSH Act was passed in 1971, it authorized inspections in Section 8(a) of the Act but did not authorize the issuance of warrants. 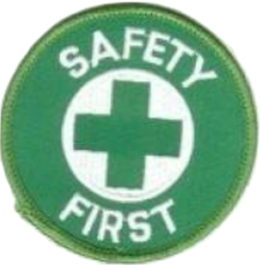 In 1978 the Supreme Court in Marshall v. Barlows, 436 U.S. 307, held that non-consensual OSHA inspections may only be conducted pursuant to a warrant. Because OSHA inspectors rarely arrive on site with a warrant, the majority of inspections take place with consent. This notion of consent is extremely important. The basis for your consent (e.g. is it voluntary or is it based on a misrepresentation about the nature of OSHA’s visit) matters. The scope of your consent (e.g. “I agree to allow you to inspect the loading docks, but do not agree to a site walk-around.”) is important. When you invite someone to your home for dinner, is it implied that they can search through your medicine cabinets? The same is true with an OSHA inspection. 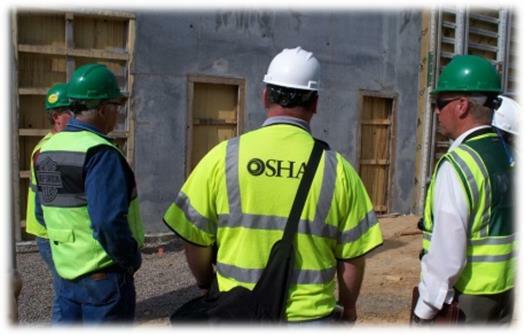 Employer representatives should communicate with the inspector regarding the nature of OSHA’s request to inspect and the scope of the employer’s consent for OSHA’s inspection. They should also understand that permission or consent to begin an inspection does not mean the right to conclude that inspection and revoke consent has been waived. In the event that an OSHA inspector oversteps the bounds of your agreement and consent, you have the right to ask them to stop or to leave. Employers can halt the inspection and ask that the inspector’s supervisor or Area Director be contacted so that the scope of the inspection can be discussed. Of course, any decision to grant or revoke consent should be carefully considered. Often the interests of the employer are best served by consenting to the inspection—yet, this is not always the case. Employers and their representatives should be fully aware of their rights and options before making a decision regarding the consent to a search (or inspection). ‹ PreviousThe True Cost Of Work Related Injuries – Accidents Cost More Than People Realize!